We believe that we are to wear "tzitzits" on the corners of our garment simply because it is commanded in Numbers 15:38; particularly when Father Yahuah states "throughout their generations." 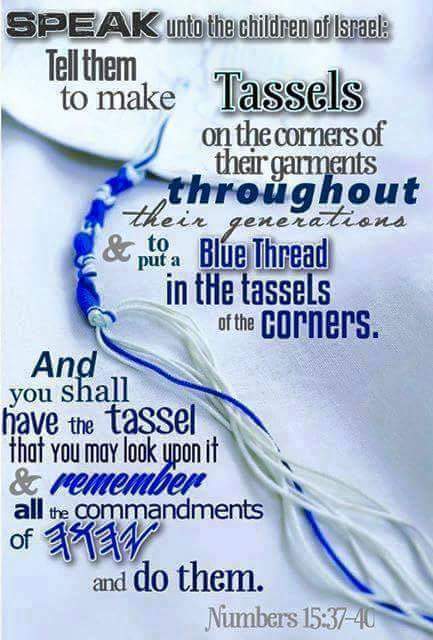 38“Speak to the children of Yisra’ĕl, and you shall say to them to make tzitziyot on the corners of their garments throughout their generations, and to put a blue cord in the tzitzit of the corners. 38 Speak unto the children of Israel, and bid them that they make them fringes upon the borders of their garments throughout their generations, and put upon the fringes of the borders a ribbon of blue silk. » I was wearing pajamas!! !